Education Secretary Betsy DeVos’s proposed federal tax credit scholarship program, and whether financing it would take public funds away from other education programs, was a focus of her hearing before the House Education and Labor Committee Wednesday. 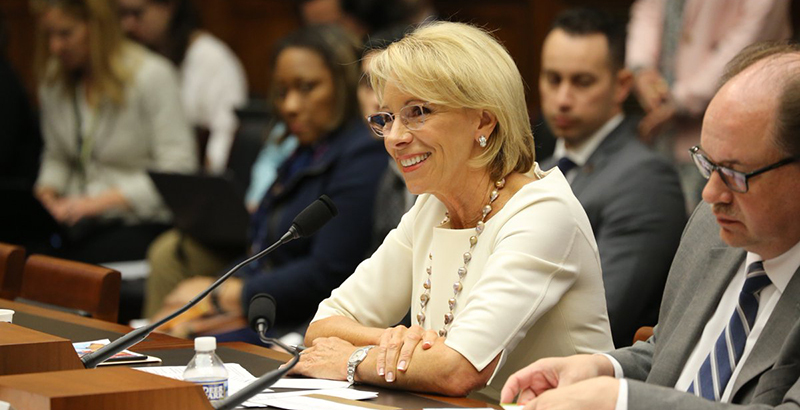 The four-and-a-half-hour hearing focused in large part on higher education issues, but Democrats also questioned DeVos extensively about her February proposal to give up to $5 billion a year for 10 years in federal tax credits for donations to state programs that give scholarships. Democrats dismissed the idea as nothing more than a voucher program in disguise that would take needed money from other public education programs. “There is a cost to everything we do. Yours just happens to be $50 billion to the Treasury. I wish that at some point we would be honest and we would tell the American people that what we are doing is creating a shell game” that gives public money to private schools via taxpayers, said Rep. Marcia Fudge, Democrat of Ohio. The program would “pick winners and losers” and “is nothing more than another attempt to disinvest in public education,” Fudge added. She also questioned whether state-run tax credit scholarship programs — she cited examples in Alabama and Florida, though 18 states have programs — are actually getting results for students. The criticism about funding came from several members. “A $5 billion tax credit means $5 billion less in revenue … It is public money if it’s $5 billion less in revenue. That money could go to fund Pell Grants, Title IV grants,” said Rep. Suzanne Bonamici, Democrat of Oregon. DeVos disputed Fudge’s assertion about poor results and refuted the idea that the proposal would necessarily mean a removal of funding from other education programs. “It does not take anything away from any budget, and in fact it is geared toward students and toward empowering students to make a different choice for their education,” she said, emphasizing the wide variety of education options that could be supported through the tax credit scholarship. Republicans, meanwhile, backed up DeVos. “My colleagues seem to believe individuals’ income belong to the government and should be considered public money. I could not disagree more,” said Rep. Virginia Foxx, the committee’s top Republican. 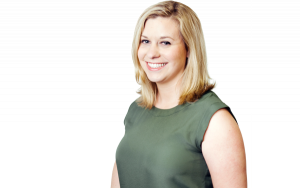 If an individual chooses to donate to a scholarship organization, “we should not claim ownership of that taxpayer’s hard-earned money,” she added. Other Republican members touted the success of tax credit scholarship programs in their own states. Pennsylvania’s programs have received wide bipartisan support, and it’s troubling that Democrats accuse DeVos of using the program to pick winners and losers, said Rep. Lloyd Smucker. “Our system today picks winners and losers based on your ability to pay for tuition at a private school if your school is not effective … It’s incumbent on us to be ensuring we put policies in place and we provide resources so that everyone has that opportunity,” he said. Another K-12 flashpoint in the hearing came around the Supreme Court’s Janus decision, which ended mandatory union fees for public employees, including teachers. Rep. Donald Norcross, Democrat of New Jersey, asked DeVos about her praise for that ruling and her family’s support of organizations that have, in his words, “coerced” teachers with phone calls, emails and door-to-door campaigns to encourage them to leave the union. DeVos at first answered by touting her proposal to create a pilot for “teacher vouchers” that would allow teachers to choose their own professional development. “What does that have to do with joining unions? You’re not answering that,” Norcross said. Norcross, however, was dissatisfied with DeVos’s answers: “When you start answering something I did not ask, that’s very disrespectful,” he said.